[INQ. NO. 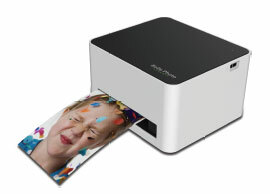 1608E01] Prinics is a manufacturer of photo printers for Apple & Android™ devices and its accessories. Prinics was established in 2005 with the vision to be the “World’s No. 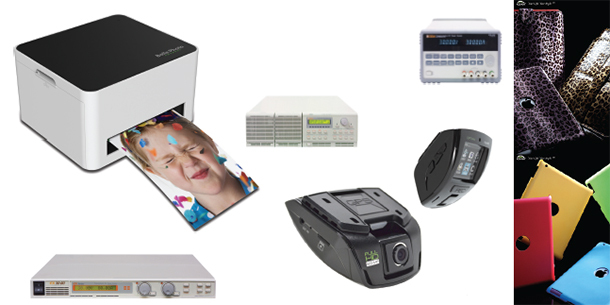 1 photo printer,” and since then it has been producing top quality digital photo printers. Prinics develops its own engine and simplifi ed all-in-one cartridge. Because of this technology and ability it possesses, it obtained patents from Korea, the United States, China and Japan. Prinics is the world fi rst MFi (Made for iPod touch, iPhone and iPad) licensee of smartphone photo printers and it also has a PictBridge license for digital camera printing. Prinics’s PICKIT is a portable size photo printer that can print photos from a smartphone. PICKIT provides free applications in iOS and Android. By NFC tag in the printer, users can connect the printer to their phones automatically via Wi-Fi direct. With various photo editing features of the application, users can print their fun and enjoyable moments at any time within 50 seconds. Patented PICKIT cartridge and built-in batt ery makes user experiences a lot more convenient. Prinics is constantly making new developments to ensure that users are always provided with the most convenient and latest features in photo printing so that users have the best photographic experience. No. 1 photo printer,” and since then it has been doing its best to produce top quality digital photo printers and continue to do so. camera printing. Prinics is constantly making new developments to ensure that you are always provided with the most convenient and latest features in photo printing so that you have the best photographic experience. with Bolle Photo Advance printer and application. Since April 2011, Bolle Photo printer has been sold worldwide. 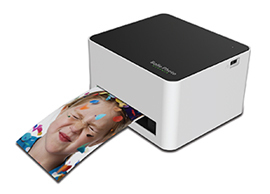 Prinics is a manufacturer of photo printers for Apple & Android™ devices and its accessories. Prinics was established in 2005 with the vision to be the “World’s No. 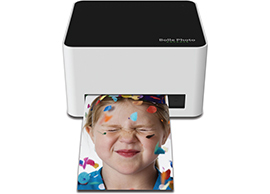 1 photo printer,” and since then it has been producing top quality digital photo printers. Prinics develops its own engine and simplified all-in-one cartridge. Because of this technology and ability it possesses, it obtained patents from Korea, the United States, China and Japan. Prinics is the world first MFi (Made for iPod touch, iPhone and iPad) licensee of smartphone photo printers and it also has a PictBridge license for digital camera printing. Prinics’s PICKIT is a portable size photo printer that can print photos from a smartphone. PICKIT provides free applications in iOS and Android. By NFC tag in the printer, users can connect the printer to their phones automatically via Wi-Fi direct. With various photo editing features of the application, users can print their fun and enjoyable moments at any time within 50 seconds. Patented PICKIT cartridge and built-in battery makes user experiences a lot more convenient. Prinics is constantly making new developments to ensure that users are always provided with the most convenient and latest features in photo printing so that users have the best photographic experience. [INQ. NO. 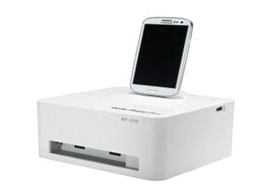 1508E14] Prinics is a manufacturer of photo printer for Apple & Android™ device and its accessories. Prinics was established in 2005 with the vision to be the “World’s No. 1 photo printer,” and since then it has been doing its best to produce top quality digital photo printers and continue to do so. Prinics develops its own engine and simplifi ed all-in-one cartridge. Because of this technology and ability it has, it obtained patents from Korea, the United States, China and Japan. Prinics is the world first MFi (Made for iPod touch, iPhone and iPad) licensee of smartphone photo printers and it also has a PictBridge license for digital camera printing. [INQ. NO. 1409M14] Prinics is the manufacturer of the world first smartphone photo printer and its accessories. Since it makes its advanced products using its own technologies, it has world patents and certifications in the United States, Europe, Japan, China, Korea, etc., and it also has the MfI (Made for iPhone) certification for the first time as a photo printer for Apple devices. Prinics’ Bolle photo cartridge is specially designed for the Bolle photo printer series. It has both ribbon and paper integrated as one and follows the dye sublimation thermal transfer for printing. The cartridge slots in easily from the side, thus making it easy for the end-user to replace it. Also, this easy-to-use and all-in-one cartridge is the only one that allows users to print panorama size photos. Prinics puts its best efforts into maintaining the best the photo quality and guarantees no tear off. The maker also assures end-users that the photos will be finger-print proof and water resistant, thanks to its specialized coating applied to all the photos. The normal printing size is 100 x 150mm (4 x 6 inches). And the size for panorama printing is 100 x 282 mm (4 x 11.1 inches) and 100 x 417mm (4 x 16.4 inches).